Update! The New Respirable Crystalline Silica Construction Standard is Here! Silicon is the second most abundant element in our Earth’s crust, making it a frequent component of many construction materials including soils, clays, sands, cements, mortars, stuccos, and stone. It is not inherently dangerous as pure silicon, however a particular molecule of silicon can be lethal when inhaled: silicon dioxide. Silicon dioxide, also called silica, or known as quartz, is the major constituent of sand and is highly toxic in dust form. Freely breathing in finely divided crystalline silica can in fact cause such fatal diseases as silicosis, lung cancer, and some autoimmune diseases in high enough concentrations. Three types of common construction practices, for example, including sandblasting, cementing, jackhammering and/or rock drilling all expose a construction worker to this unique breathable threat. OSHA, or the Occupational Safety and Health Administration, has newly updated the Respirable Crystalline Silica Construction Standard, also known as 29 CFR § 1926.1153, which officially came into effect September 23, 2017 as an attempt to address the severity of the breathable silica dust threat. During the first 30 days, currently in effect, employers must take steps in good faith to safeguard their employees. In another year, OSHA will also begin enforcing provisions of this standard for other industries and maritime applications on June 23, 2018. 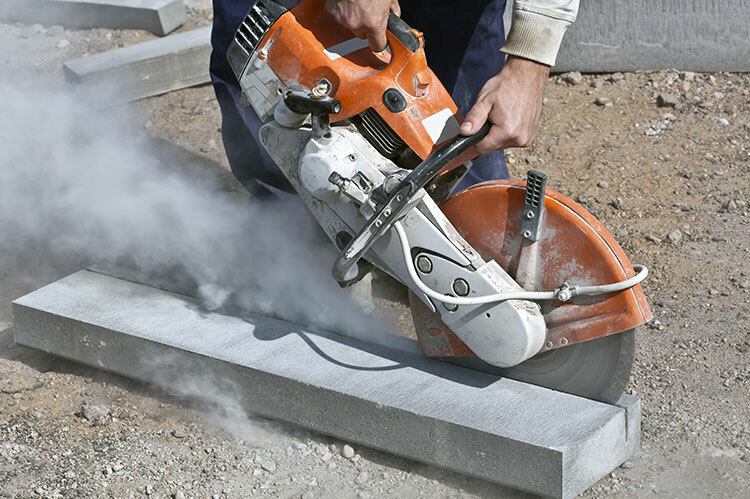 The new Respirable Crystalline Silica Construction Standard updates and improves an old OSHA standard that was issued in March 2016. It promotes limited exposure to breathable silica and carefully establishes an 8-hour time-weighted average (TWA) or Permissible Exposure Limit (PEL) of 50 µg/m3 to respirable silica. This is a very small amount, and is a reduction of the previously permitted amount. The standard also specifies control methods for the use of saws equipped with integrated water delivery system (continuously feeds water to the blade) when working with any materials containing silica. Large and small construction companies are required to educate and inform their employees of this standard and institute training programs that will lead to its proper enforcement in everyday construction practices. The realities and the competitiveness of the construction business often necessitate that, in the interest of cutting corners, safety precautions be momentarily dispensed with. But the new standard tells that OSHA is further tightening the limit. OSHA encourages construction workers to become their own advocates by sounding the alarm when they recognize their job safety has not been properly accounted for. The Occupational Safety and Health Act of 1970 gives employees the option to confidentially file a complaint, either online, by mail, by phone, and request an OSHA inspection of their workplace if they believe their employer is not complying with OSHA standards. OSHA stresses that the complaint must be filed within 6 months of the original violation. OSHA vows to protect anyone filing a complaint by maintaining their complete confidentiality. In addition to anonymous complaint filing, OSHA also provides free on-site consultations to employers who need additional help to maintain and secure a safe and healthful workplace for their employees. OSHA has also setup voluntary protection programs to recognize outstanding efforts by companies that successfully maintain a safety program as part of their overall business strategy. OSHA offers several avenues to compliance and is reiterating that there is no excuse to not put the safety of workers first. HOW WILL OSHA’S NEW SILICA RULES CHANGE ROOF SAFETY? SHOULD YOU CONTEST YOUR OSHA CITATION?